I was sitting on a beach chatting the other day with friends who are not resident in Turkey but who visit regularly. Naturally, the conversation sometimes turns to the challenges we face living abroad and, although I can’t remember now which particular one I was addressing, I know I was elaborating on differences between life in Turkey and the UK. “Yes,” I replied, smiling, expecting the usual questions about what it’s like to reside in permanent sunny splendour, surrounded by beautiful scenery and such lovely people. “How long for?” she added. And, suddenly, I knew what was coming. “Just under two years now,” I said – and waited. “Oh, well, you’re just a baby then…” And BOOOOM! She was off, relating stories of her own about her 18 years in country and very deliberately putting me in my place as an inexperienced incomer. I’m not sure why it happens but I think it’s maybe because, as a resident of a country where so many head for their annual holiday in the sun, you sometimes find yourself the subject of some fascination. After all, you are living their dream and they want to know what it’s like. Start talking about it, and you can soon find yourself the centre of attention. Personally, it’s not something I’m particularly comfortable with but I’ve come to realise that others crave it. I’m by no means saying all ex-pats do, but some seem to believe their years in Turkey are a badge of honour which ought to be respected and they don’t want to see a relative newbie steal their thunder. Usually I shrug inwardly and leave them to it. In the early days then yes; sometimes the interest from holidaymakers we’ve met was flattering. But now, if anyone asks about my life here, I try to keep my answers brief. It’s partly because I don’t want to stamp all over people’s dreams with tales of the reality; they don’t want to hear about freezing cold houses in winter, flaky internet, unreliable water and electricity supplies and life with no Cheddar cheese. But I’m also aware I’m still learning every day myself and one of those lessons is that there might be someone with more time under their belt than me lurking somewhere nearby ready to pounce – and sometimes, as on this occasion, I find it irksome. I’ll happily listen to good advice and I recognise there are plenty of people who have lived here much longer and know far more than I do about the potential pitfalls. But being patronised always puts my teeth on edge and I found being called “just a baby” particularly presumptuous. The thing is, although I may have only lived in Turkey for a couple of years, I have lived overseas before. My work has also taken me abroad many times, even to a couple of war zones. But this particular lady seemed determined to pigeon-hole me as a romantic fresh from the UK, still wearing rose-tinted glasses with nowhere near the experience necessary even to talk to tourists. It’s by no means the first time it’s happened. If you live in Turkey, I suspect you’ll find as we have that there is often someone itching to tell you how little you know, how naïve you have been or how much better they have managed or adjusted to life here. The trick is working out which ones are worth listening to. Of course I don’t have all the answers and probably never will. I’ll freely admit we’ve made some howlers and learned a few things along the way. But isn’t that what life is about? I certainly feel I’ve as much right as anyone to tell a few funny stories to anyone who shows an interest. But do me a favour. If we meet and I ever describe you as “just a baby”, slap me. Okay? 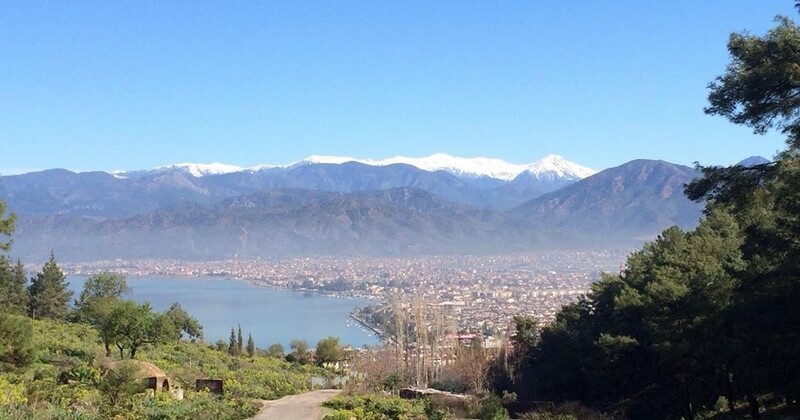 This entry was posted in Life challenges, Moving abroad and tagged British ex-pats, Fethiye, life in Turkey, living abroad, living in Turkey, Turkey on May 23, 2016 by theparsleys. Keep those rosy glow glasses on – Mine are permanent fixtures. I quite often find supposed “old hands” who’ve lived here for decades have a very strange outlook on the country and some have a very vague grasp of the language.